ValueQuest is a boutique SEBI registered Portfolio Management company that operates under the aegis of the Dharamshi Group. With two decades of industry experience, the ValueQuest research team has an enviable track record of identifying winning stocks. What is the value of a stock? While many have an intuitive understanding of the term ‘value’, its deeper meaning is often only vaguely comprehended. Anyone who has truly made the effort to study Warren Buffett’s investment philosophy understands that receiving value on the money he invests is of utmost importance; and value can only be determined by studying the potential cash flows that could be generated by a particular company. Simply put, the value of a stock lies not in its quoted price but in the cash flows the business is able to generate over a period of time. Sustainable wealth enhancement through long term investing in quality companies based on proprietary research. We manage your money as we manage our own. The story started in the early 80’s when the Dharamshi Group entered equities, aiming to achieve long term wealth creation through Indian equity markets. The Dharamshi Group set out with a firm belief in proprietary research and a disciplined long term investment approach. These became the pillars of the Group’s success, and over the next three decades, it survived - and thrived through - various market fluctuations. Successive market learnings culminated in the formation of ValueQuest Research in 1994 with a mandate to identify wealth creators. With over three decades of investment experience, the Dharamshi Group is one of India’s most successful equity investors. It takes twenty years to build a reputation and 5 minutes to ruin it. If you think about that, you’ll do things differently. We find a shift in wealth management practices, with investors turning to the steadfast holdouts of proven undertakings. ValueQuest seeks to bridge the gap between the investor and the equity markets. Ravi has an MBA in Finance from McCallum Business School, US. He returned from the US after a brief internship stint at Salomon Smith Barney. He has been associated with the Indian stock markets for over 13 years. After graduating, he worked his way up through the stock market business, spending four years at RARE Enterprises, where he was involved with research, private equity deals and value creation activities before moving to ValueQuest and taking charge of research. With an enviable track record in stock picking and his ability to take bold calls, he has been instrumental in generating outsized investment returns. 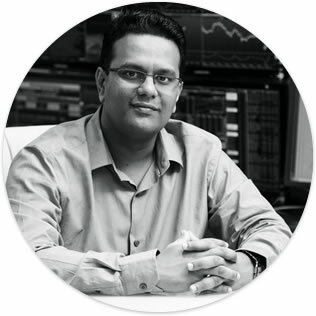 Ravi currently heads Investment Strategy and Research at ValueQuest and has proven to be an able leader. He is constantly focused on generating research ideas to maximize investment returns. Sameer Shah heads Research and Portfolio Management at Value Quest. 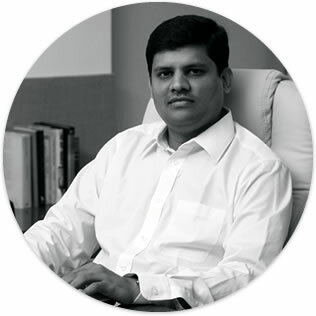 He is a Chartered Accountant and has over 14 years of experience in the capital markets. He was previously heading business development at FCH Centrum, BRICS Securities and Sharekhan, which together gave him diverse perspectives and experience in many market scenarios. It is under Sameer’s able leadership, his talent for research and his focus on quality that the Value Quest Team has continuously broken new ground. Value Quest closes the gap between the investor and the equity markets by providing the unique outlook to portfolio management that can only come from being a successful investor.